More about Bianco Blu Silver Tape Bird Crafted in Fiskars, Finland exclusively for FinnStyle, the Bianco Blu Silver Tape Bird is truly one-of-a-kind pieces of art you won't find anywhere else. The bird was are designed by artist Tarmo Maaronen and mouth-blown by a small team of skilled blowers. Maaronen was born in 1963 in Urjala, Finland and has been blowing glass since 1979. 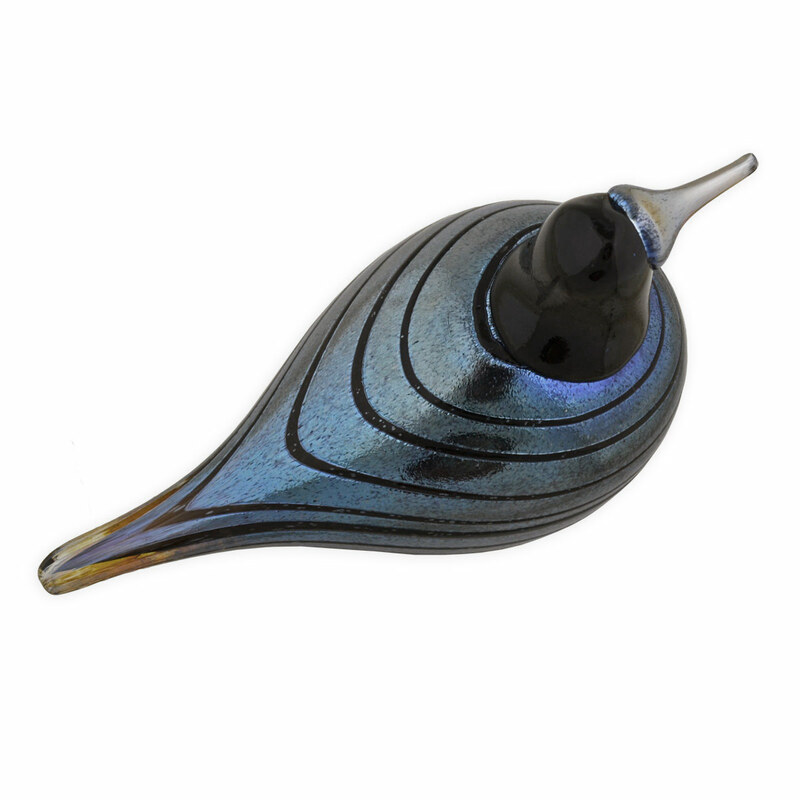 He worked as a teacher of Scandinavian glass techniques from 1995-1997, until he founded his own glass studio Bianco Blu. 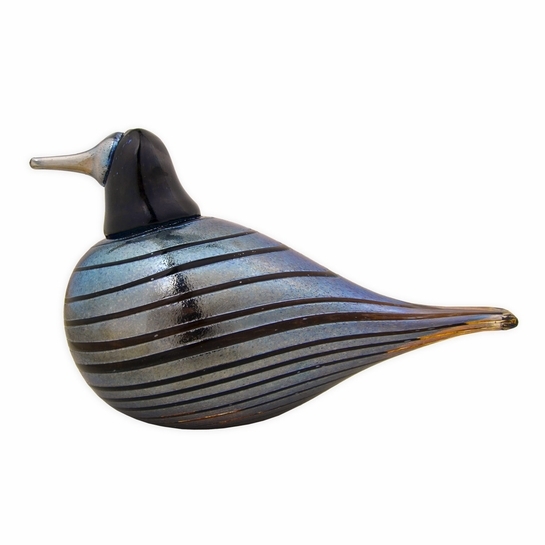 The Silver Tape bird is named for the indented bands that wrap around its body to create a mesmerizing design. The solid, iridescent body and beak is reflective and will pick up the colors around it, but favors cool grey and blue tones.